Our New World takes on form and stability as the center of the 4 Directions. 4 Sun/Ahau is revered by the Maya as the day on which the Mayan world was born. 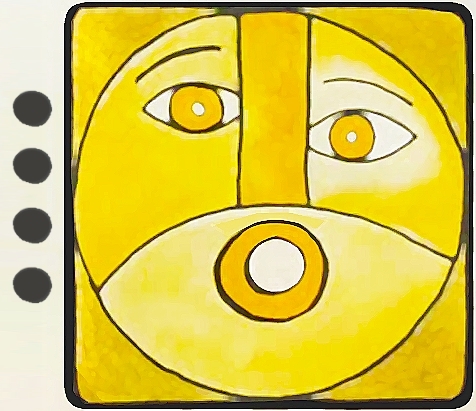 Sun/AHAU is the Day Sign of Light that illuminates our highest aspirations for ourselves and the world around us. The challenge is to approach life realistically without compromising our dreams. The world is what we make it through our Sacred Right of Choice. The chaos we see was a creation of our own making born of our fear of separation. Sun/AHAU gives light to the Truth that we are all connected as One.